Let me introduce myself, my name is Charles Salamone. I have been in the restaurant and pizzeria business for 40 years. I have always had a problem with cheese shaker lids or tops, as some may call them. They dent, and worst of all, the inside of the lids corrode and rust due to the sodium, lactic acid and citric acid found in Parmesan and Romano cheese. 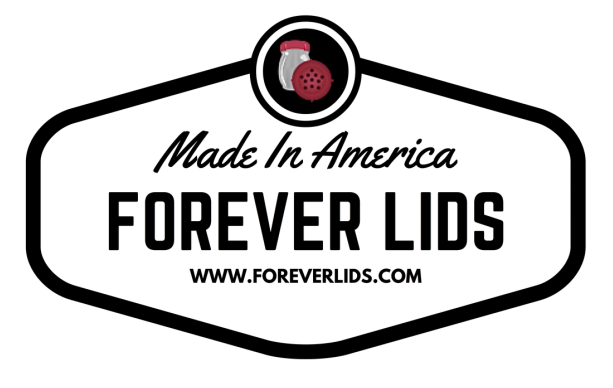 Because of this ongoing problem, I have purchased hundreds of replacement lids over many years in business. This is what prompted me to invent FOREVER LIDS. If you use any 2, 6, 8 or 12 ounce glass or lexan shakers,we have the replacement tops, your problems have been solved!